Bound states of 7-branes known as ‘T-branes’ have properties that defy usual geometric intuition. For instance, the gauge group of n coincident branes may not be U(n). More surprisingly, matter may show up at unexpected loci, such as points. By analyzing T-branes of perturbative type IIB string theory in the tachyon condensation picture we gain the following insights: in a large class of models, the tachyon can be diagonalized even though the worldvolume Higgs cannot. In those cases, we see the structure of these bound states more manifestly, thereby drastically simplifying analysis of gauge groups and spectra. Whenever the tachyon is not diagonalizable, matter localizes at unexpected loci, and we find that there is a lower-dimensional brane bound to the 7-brane. P.S. Aspinwall, D-branes on Calabi-Yau manifolds, hep-th/0403166 [INSPIRE]. E. Sharpe, Lectures on D-branes and sheaves, hep-th/0307245 [INSPIRE]. A. Collinucci and R. Savelli, F-theory on singular spaces, arXiv:1410.4867 [INSPIRE]. T. Gomez and E.R. 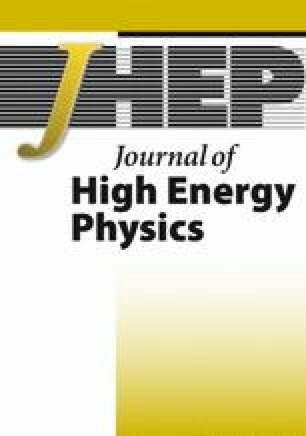 Sharpe, D-branes and scheme theory, hep-th/0008150 [INSPIRE].